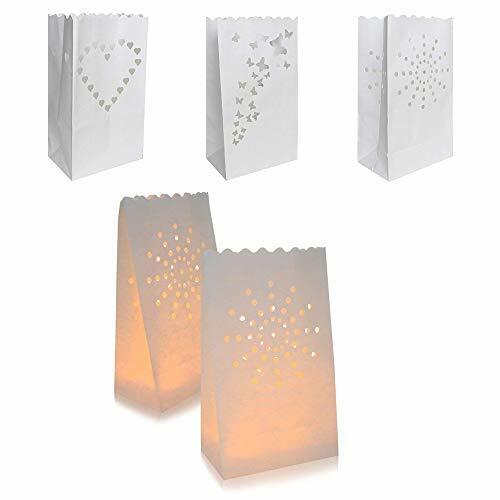 Paper Luminary - Compare Prices. Halloween Store. Incredible selection of Halloween Costumes, Halloween Decorations and more! 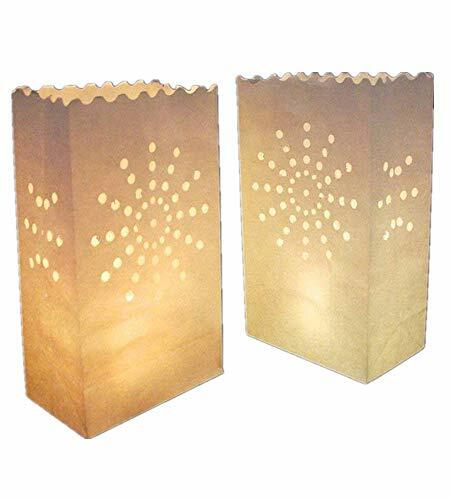 Material: Fire resistant paper Size: 10inch(H) x 6inch(W) x 3.5inch(D) Quantity: 30pcs How to use : 1. Open up the bag and pour some stones or sand at each bag bottom so that they don't tip over in the wind. 2. 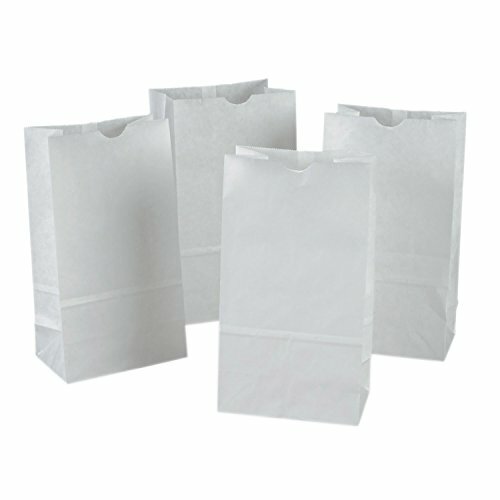 Place the bags about 1-1.5m apart for maximum lighting effect. 3. Place a candle into the centre of the pile, pushing it down into the soil so it is positioned upright and straight. You can use heavy duty tea light candle or a votive candle. 4. Light the candles using either a large BBQ match or a grill lighter. Smaller matches will be difficult to use and will take quite some time if you have a number of candles to light. 5. Extinguish the candle once you have finished the event. 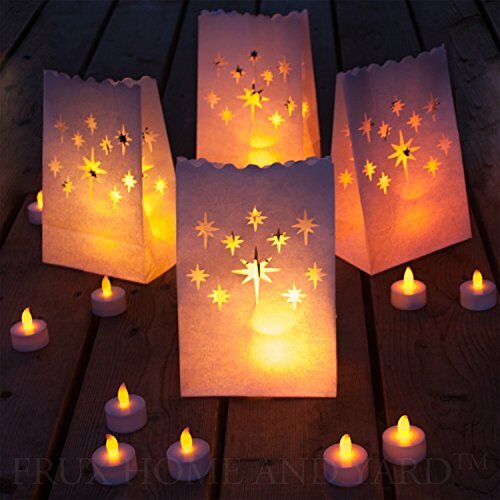 Frux Tea Lights with Luminaries, the perfect choice for your decorative lighting needs! 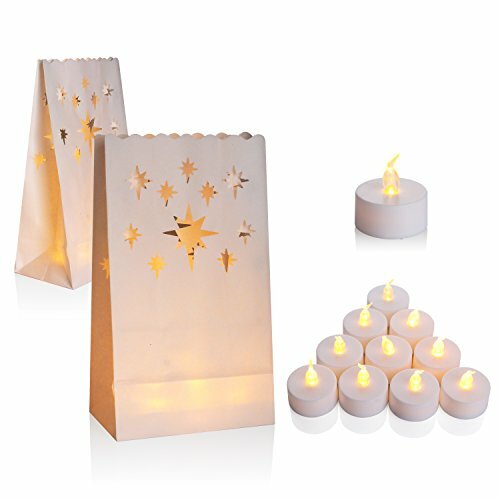 Set of 125 Luminary Bags and 125 Richland Tealight Candles. 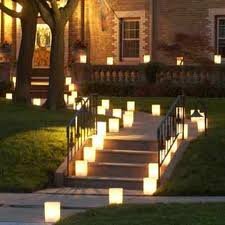 Set includes: 125 Luminary bags, 125 tealight candles, and How to Make the Perfect Luminary Guide. 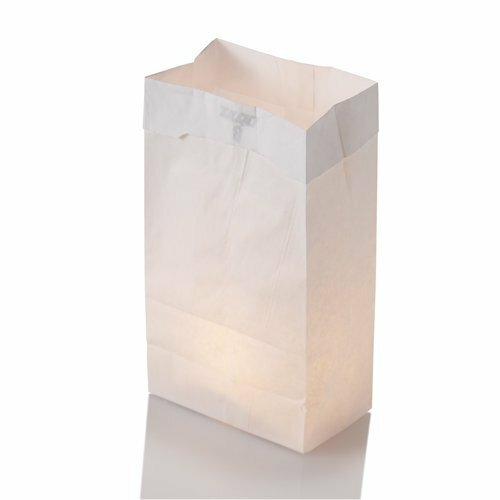 Luminary bags are not flame retardant. Follow our guide for safe burning. 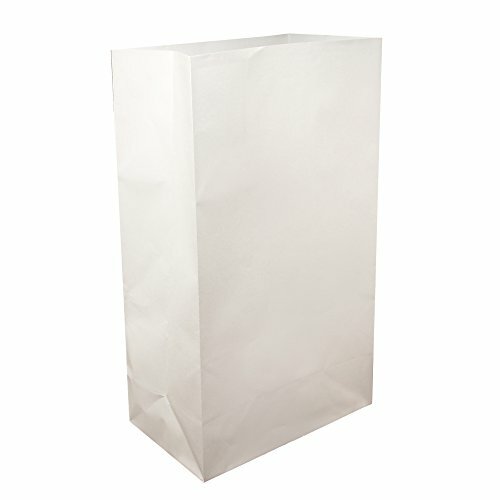 Bag size: 6 1/8" Wide x 12 7/16" Tall. Tealights are compression molded and set in aluminum cups with 100% cotton wicks. Size: 0.5" Tall x 1.5" Diameter. Burn time: Approximately 4-5 hours. Note: Plastic cups shown in picture are not included with this set.